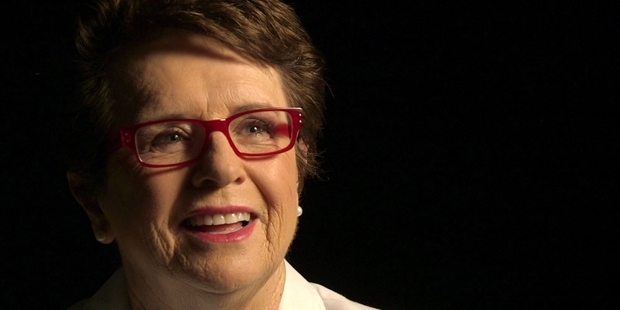 Billie Jean King was born on November 22, 1943 at Long Beach, California. She attended Long Beach Polytechnic High School and later went to California State University, Los Angeles. She had a powerful physique and started off by playing sports like baseball and football. But her father objected to her playing such masculine games, and introduced her to tennis. She soon began taking proper coaching and in 1959 made her Grand Slam debut at the U.S. Open Championships. She won her first title at the Philadelphia and District Women’s Grass Court Championships in 1960. In 1961 she partnered Karen Hantz Susman to participate in the Women’s doubles event at Wimbledon and won it in her first attempt itself. In 1962 King made headlines in the tennis world for the first time when she beat World No.1 Margret Court in just her second singles match at Wimbledon. In 1963, she was able to reach the finals at Wimbledon for the first time but lost to top seed Margret Court. In 1966, she won her first Grand Slam title at Wimbledon by beating Maria Bueno in straight sets. In 1967, she won the singles, doubles and mixed doubles titles at both Wimbledon and the U.S. Open. In 1968, she won the Australian Open for the first time in her career. She also won her third consecutive Wimbledon Singles title. The year 1971 was the best year in King’s career with a 112-13 record and 17 titles won. In 1972, she went on to win all the three Grand Slam Singles events, except the Australian Open. In 1973, she was part of the match called the ‘Battle of the Sexes’. She was pitted against 55-year-old, former World No.1 Bobby Riggs. The winner would be get $100,000 and the viewership had exceeded more than 52 million in 35 countries. King gave her everything in that match and went on to win 6-4, 6-3, 6-3. The years from 1966 to 1975 were the most dominating years in King’s career. She won all her 12 singles Major titles during this period. She won 9 of her 16 doubles Major titles and 10 of her 11 mixed Major doubles titles. She won a total of 39 Grand Slam titles during her career. She won 6 Wimbledon Singles titles, 4 U.S. Open titles and both the French Open and the Australian Open once. She won a total of 20 titles at Wimbledon, out of which 10 were doubles titles. She has been the year ending World No.1 player for a total of 6 years. She has won nearly $2 million in prize money. She has been experienced great success both on and of the field. Billie Jean King was not just a tennis player; she was a strong advocate for gender equality in sports. She campaigned for equal pay for both men and women in the sport of tennis. She was the founder of the Women’s Tennis Association which is today the organizing body of the women’s tennis tour. She has been inducted into the International Tennis hall of Fame in 1987.